Details on some of our workshops and events for the 2018 season are below. We'll be announcing more workshops throughout the season. Alicia from Pepperwood Design will share how to use Fusion Mineral Paint to transform a plain glass tray into a tray in a rusty faux galvanized metal look with Fusion Mineral Paint. 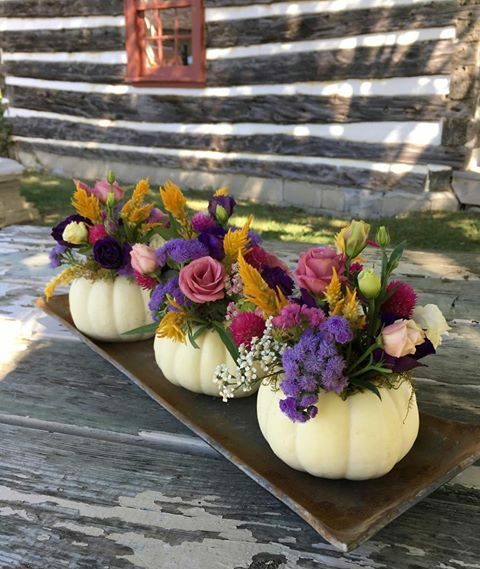 Amanda and Debbie from Cloverhill Flowers will lead you through the process of arranging blooms in a trio of pumpkins to make your Thanksgiving Pumpkin Arrangement. 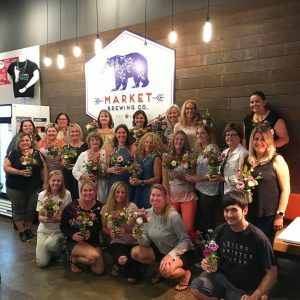 Blooms & Brews with Market Brewing Co.
Join us for an evening of flower arranging at Market Brewing Co. in Newmarket, Ontario. We will be guiding you through a natural, seasonally inspired, garden style arrangement in a farmhouse jar. 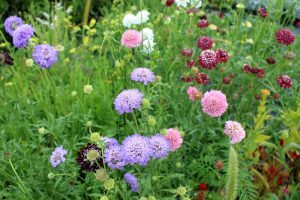 There will be a wide variety of foliage and blooms to choose from. In addition to your arrangement, your first pour of beer is included in your ticket price of $30. Please bring your own pair of floral shears/clippers if you have them. Otherwise, a limited number of pairs will be available for purchase at the workshop. Join us on Saturday, August 11th, 2018 from 9am-1pm, for a morning at Cloverhill Flowers with fabric artist Grace Wittig as she takes you step-by-step through the eco-print process. In this 4 hour course, you will learn direct contact printing techniques to transfer leaves and flowers to fabric. At the end of the day you will have printed your own silk scarf to take home. We will harvest from the flower field a variety of foliages and blooms to eco print on a silk scarf. As the fabric dyes we will enjoy light refreshments and create your own farmhouse jar brimming with blooms. 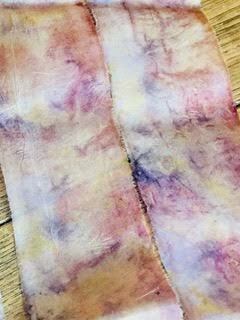 Grace Wittig is a textile artist who you can find on Instagram and Facebook as “Silk and Sumac”. She uses natural materials to create unique clothing, scarves, pillowcases and more. $120 per person. Limited Spaces Available. A magical experience to enjoy with your child in a local flower field surrounded by blooms and butterflies. 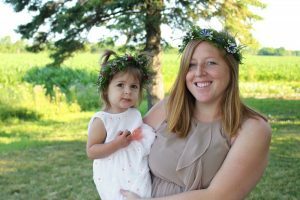 Erin will instruct you on creating a one-of-a-kind floral crown for each of you. Every family group will then have a 10 minute photo session with professional photographer Kim Balson. $75 per adult + 1 child. $20 for each additional child. Includes all materials and instructions, as well as 5 edited digital photos per group. Address to be provided upon registration. Tickets are non refundable. If you are unable to attend once you have purchased the ticket, you are welcome to pass your ticket onto a family member or a friend to come in your place. Join us on Saturday, August 18th, 2018 from 10am-3pm. We’ll be opening our flower field to the public for the first time as part of this exciting new event in Georgina to celebrate 200 years of agriculture in our community. Self-guided tours, samples and educational experiences at the participating farms. 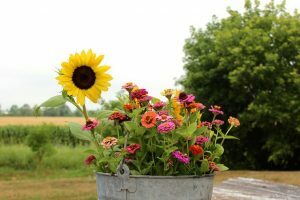 Join us on Saturday, July 14th, 2018 from 10:30am-1p2pm for a morning of painting your own mason jar vase and flower arranging at Pepperwood Designs in Jackson’s Point, Ontario. Looking for a fun activity for your girls night, bridal shower or birthday party? We offer flower arranging workshops for private events, with a variety of options available. Using our vibrant, field fresh flowers you can create arrangements, farmhouse jars or flower crowns. For more information, please contact us. © 2019 Cloverhill Flowers. All rights reserved.